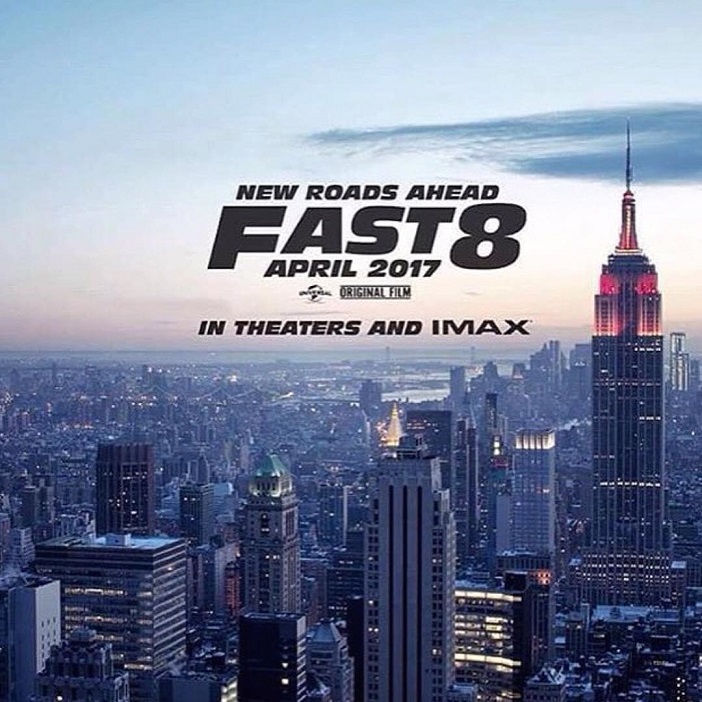 Vin Diesel revealed last year that the next movie in the franchise will be based in New York and today he released the first official poster. The next movie, titled Fast 8, has confirmed when the movie will hit the big screen. The new poster also introduces a new tagline: New Roads Ahead. There is likely to be a significant shift in the story since the actor who played a major character in the movie has passed away and was given a proper farewell in the previous film. It goes to show that the next series of films are going to shake things up since it’s going to be the final series of the last three movies that will close out this franchise, so the tagline not only points towards the end but also acknowledges the unfortunate passing of Paul Walker. Fast 8 will hit the big screen on April 14th, 2017.